My old room was totally covered. Anything interesting went up – feathers, posters, Venetian masks, band tickets. But I’m in rented student accommodation now so I’ve had to rein myself in to (mostly) this little corner over my bedside table. There are a few quotes from Jack Kerouac, Yoko Ono and The Tiny Book of Tiny Stories. A painting that reminds me of my cats. Photos. Some film frames. Friendly Fires artwork. A gorgeous birthday painting from my best friend. An old envelope I bought in York. The cinema ticket from the first time I went out with my boyfriend. When I’m sat at my desk, getting over a crap day, I can look over and be reminded that life is a jumble of the good and the bad. 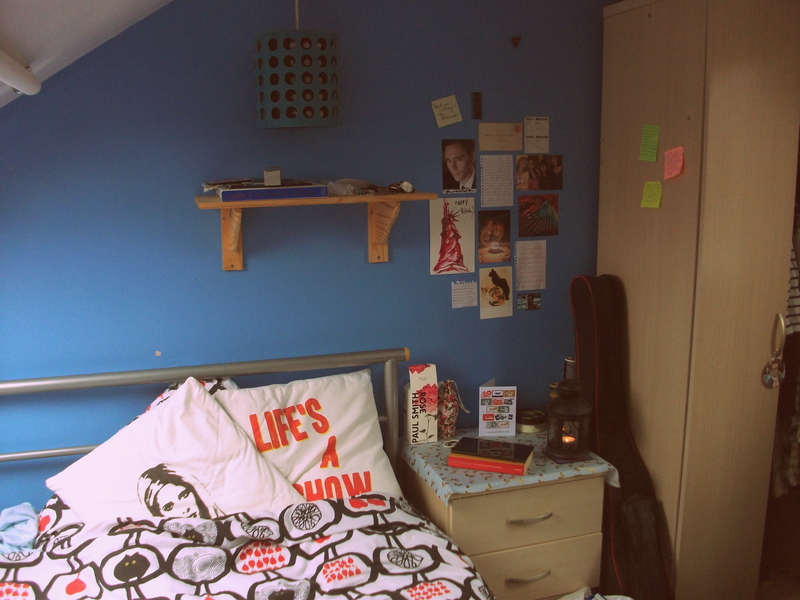 This entry was posted in Uncategorized and tagged bedroom, collage, pictures, weekly photo challenge. Bookmark the permalink. 🙂 I remember those days! Now the watch word is “simplify” – much less fun!! 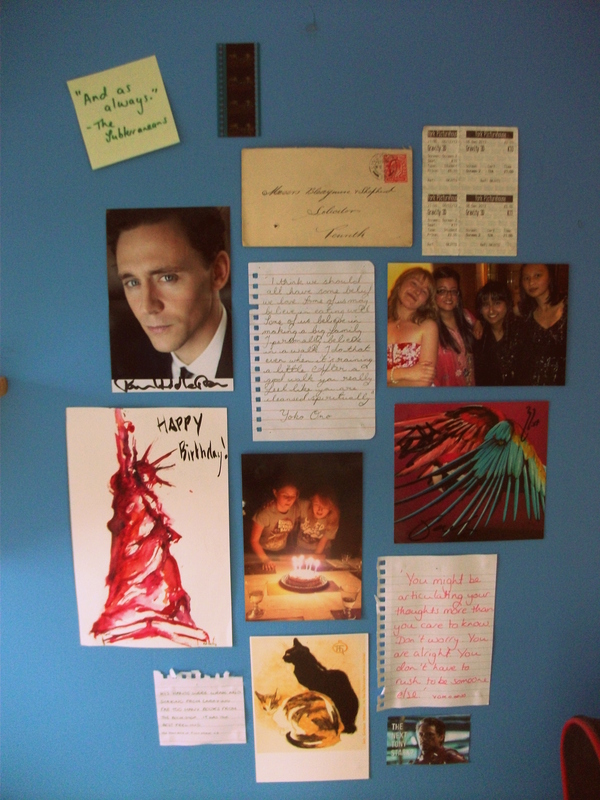 Wall is there to pin memories and the cat reminds me a card that I have. BTW I love the color blue of your room. Mine is sky blue.